Yep, I’m afraid he did. 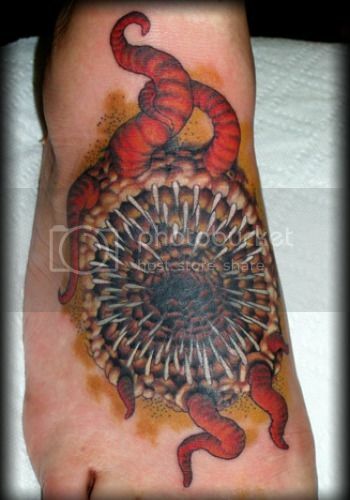 He got a gaping, tentacled pit of barbed Sarlacc gullet tattooed on his foot. To be fair, it’s covering up an old tattoo of Tila Tequila. So… a step up, fair to say. Via Look at This Frakking Geekster, who loves me in spite of my lazy, petty jokes.